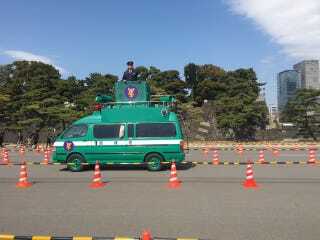 Once a year they open a section of the grounds of the Imperial Palace to the masses. I happened to be in Tokyo at the time, so I got in. We were wanded, frisked, and I had to drink some of my water to prove what it was. Would someone please tell me why the police van has a mouse on it?